Shop Ortofon Pro S Spherical DJ Stylus from AMS and enjoy Fast & Free Shipping. 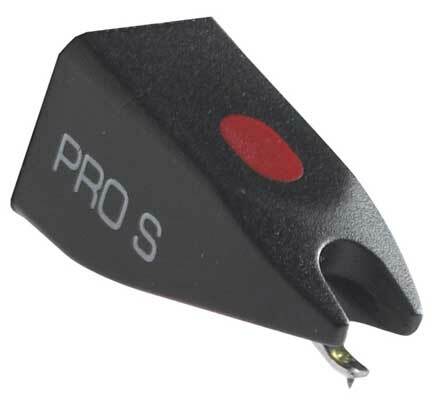 The Ortofon Pro S Black Spherical Stylus is a wide, low ware replacement that provides durability under demanding conditions. Designed for the Ortofon Concorde Pro S and OM Pro S cartridges, this stylus features a stable needle for virtually any setting. Crisp sound, I love it! I love these styluses. I even got an extra for back up. Has my sound crisp and clear!